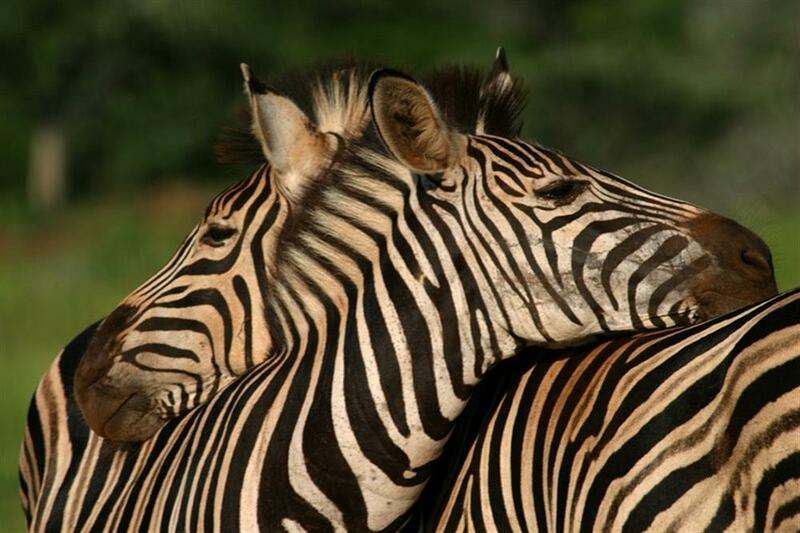 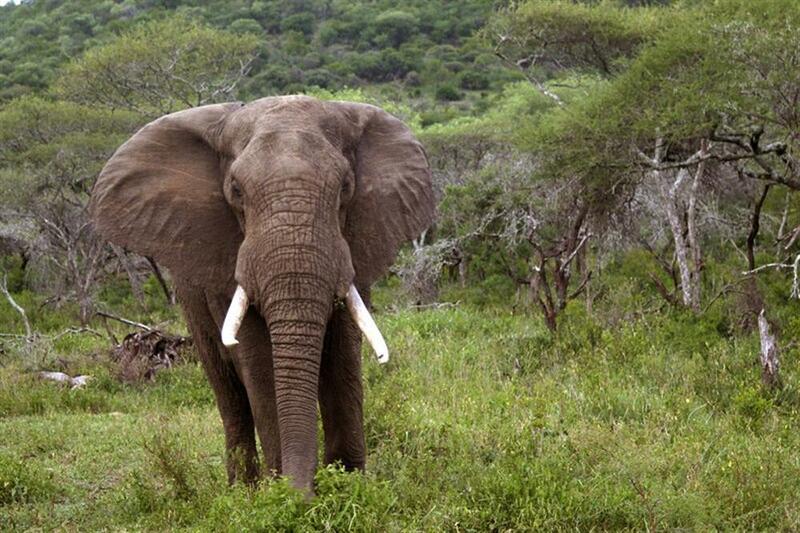 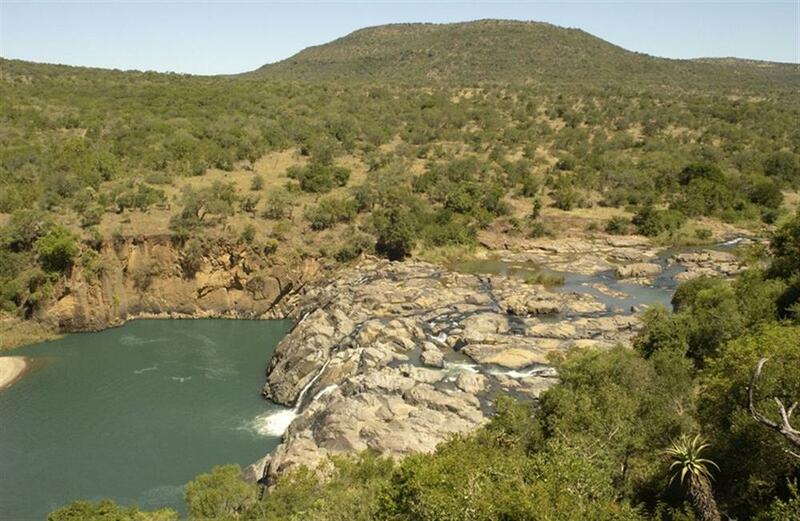 Mkuze Falls Lodge is located along the northern bank of the Mkuze River in the heart of KwaZulu Natal. 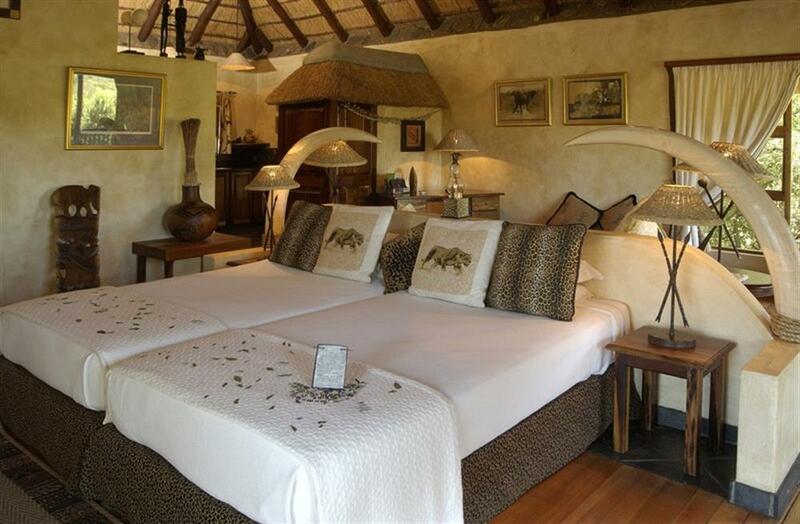 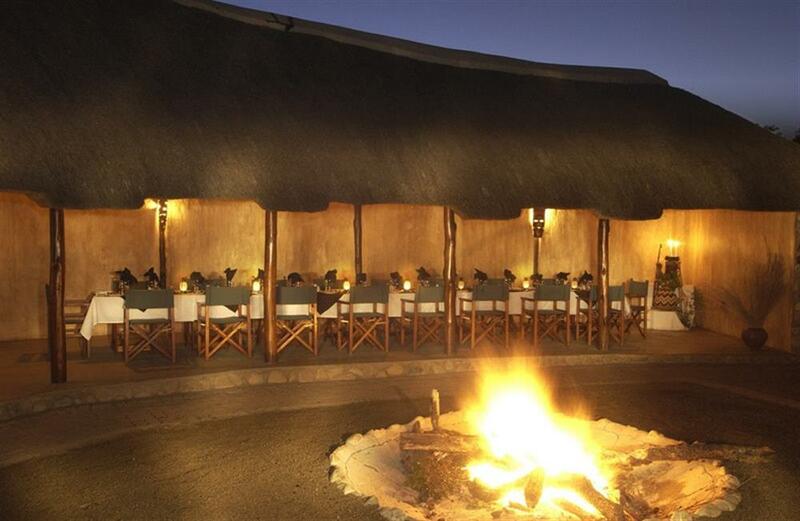 The lodge has eight luxuriously appointed thatched chalets and one safari suite, accommodating eighteen guests in comfort and style. 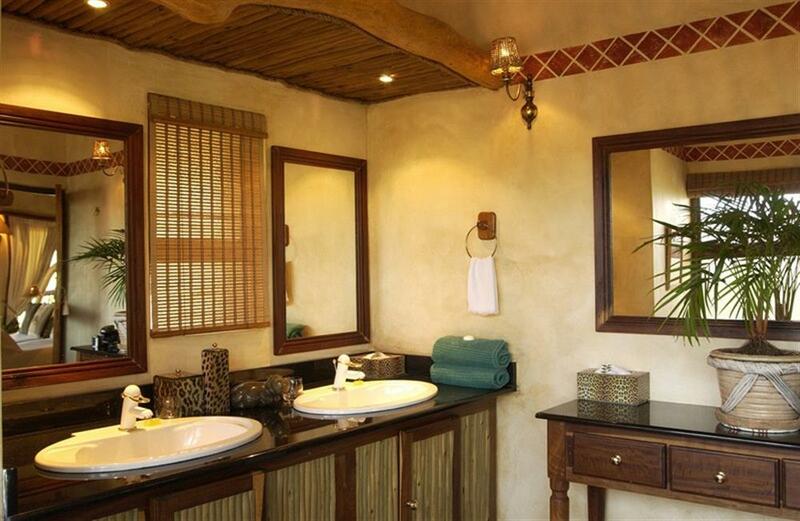 All the rooms have a superb view of the river, bush and mountains. 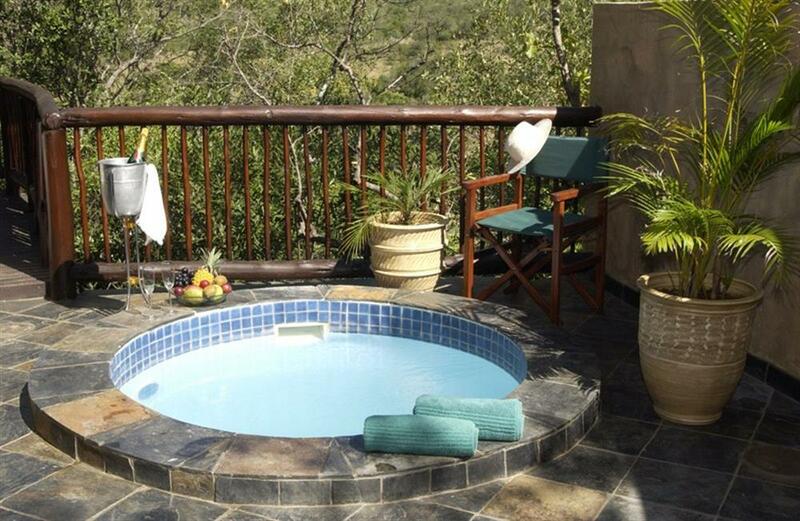 Private plunge pools and an outside shower provide a wild but intimate touch. 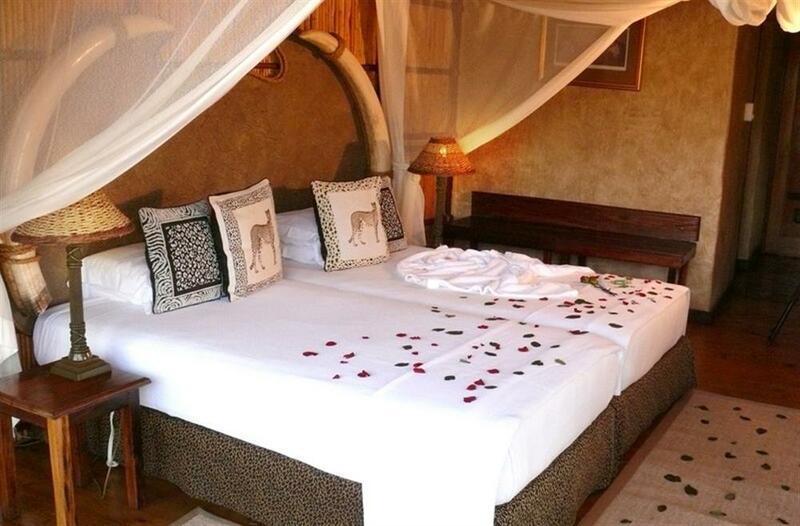 Both the safari suite and the chalets each have a viewing deck, mini bar, telephone, safe, overhead fan, air conditioning, mosquito net and en suite bathroom. 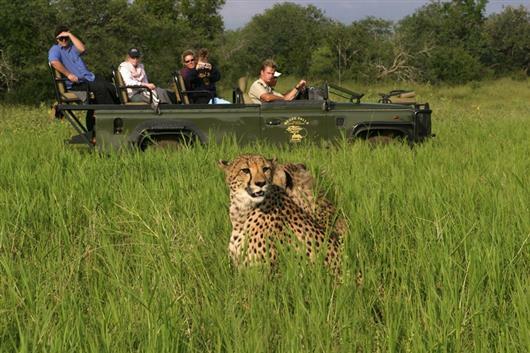 A wealth of birdlife, numerous plains game and the Big Five - elephant, rhino, lion, leopard and buffalo - along with cheetah, hippo and crocodile provide nature lovers with a true untamed view of nature. 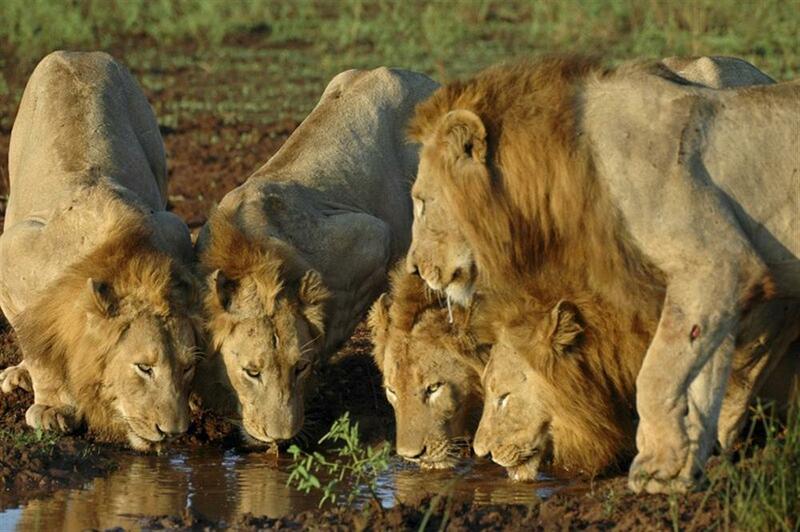 There is an impressive variety of wildlife, including more than 340 species of birds. 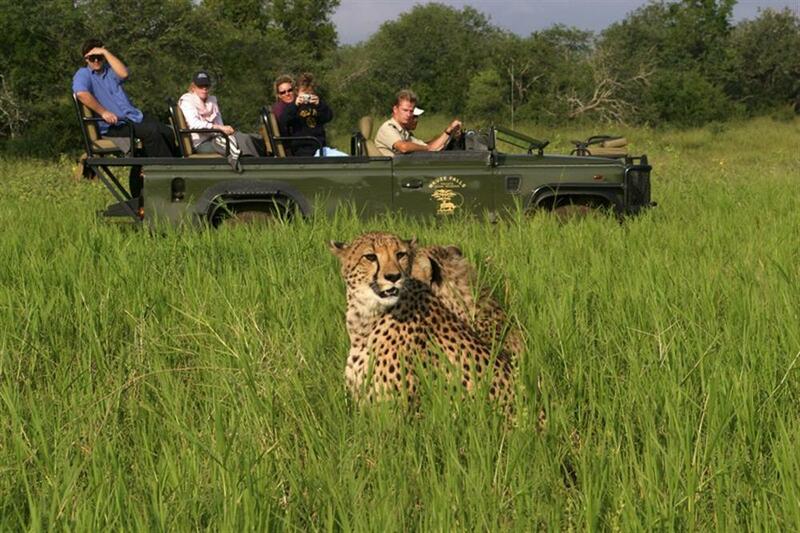 Guests can enjoy game drives in open vehicles with experienced field guides and rangers who also conduct bird, bush and game walks on request.